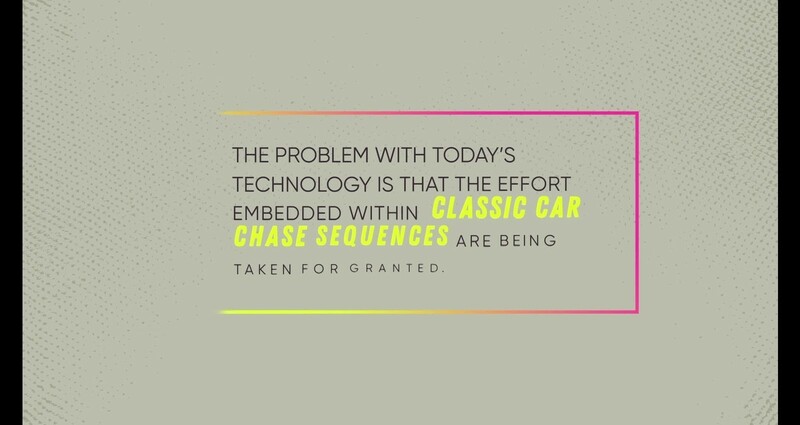 With hundreds of films released annually, each more entertaining and “epic” than the last expanding on their technological abilities classic means of film making is taken for granted such and the effort embedded in seconds worth of classic car chase sequences. 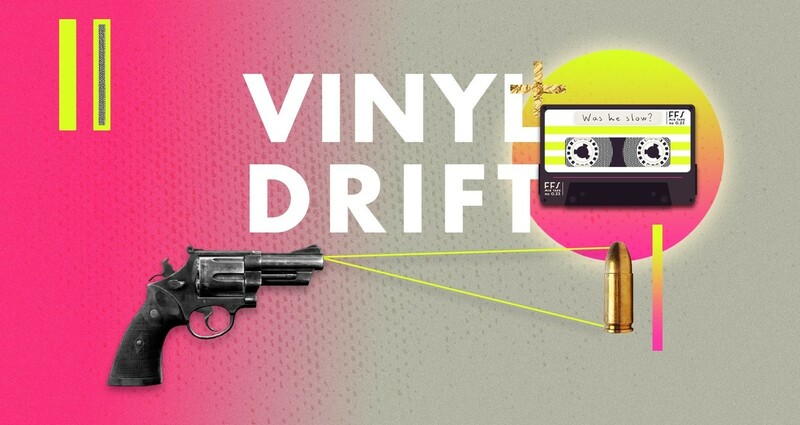 Vinyl drift was inspired by one of the latest raging action, heist films of 2017 - baby Driver. 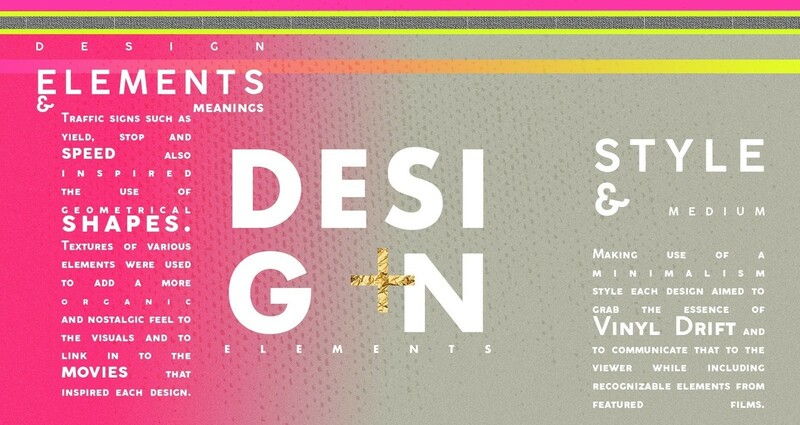 shapes Vinyl Drift aimed to illustrate elements found in some of the best action, heist films. 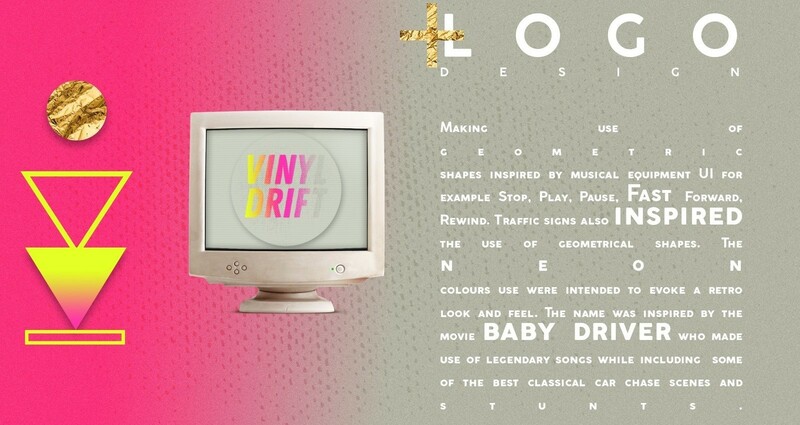 Referencing the retro theme from baby driver, Vinyl Drift combined it with a neon colour palette to emphasize the eccentric ‘90s-era highlighted in most of these films to compliment the essence of Vinyl Drift. 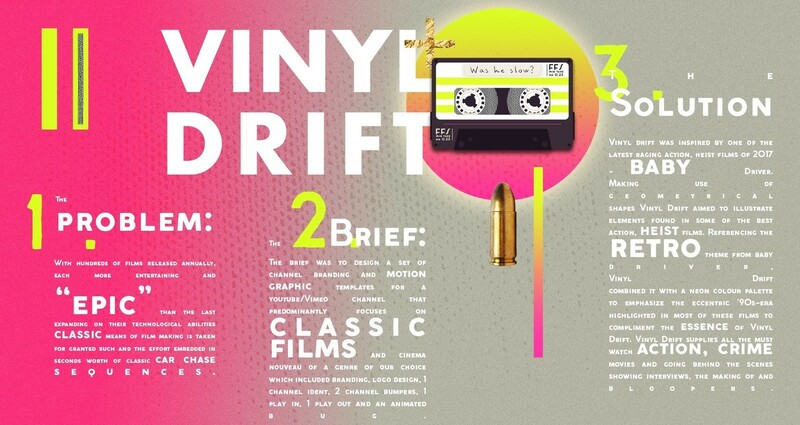 Vinyl Drift supplies all the must watch action, crime movies and going behind the scenes showing interviews, the making of and bloopers. The brief was to design a set of channel branding and motion graphic templates for a youtube/Vimeo channel that predominantly focuses on classic films and cinema nouveau of a genre of our choice which included branding, logo design, 1 channel ident, 2 channel bumpers, 1 play in, 1 play out and an animated bug.